This recipe is from the Ladie's Home Journal April 2010. It is located on page 136. I love Magic Bars. So when I saw this recipe it sounded exactly like something I would enjoy eating. They were pretty simple to make and of course enjoyable to eat! Whisk the 2 egg whites with 1/2 teaspoon of salt in a large bowl until stiff peaks form. 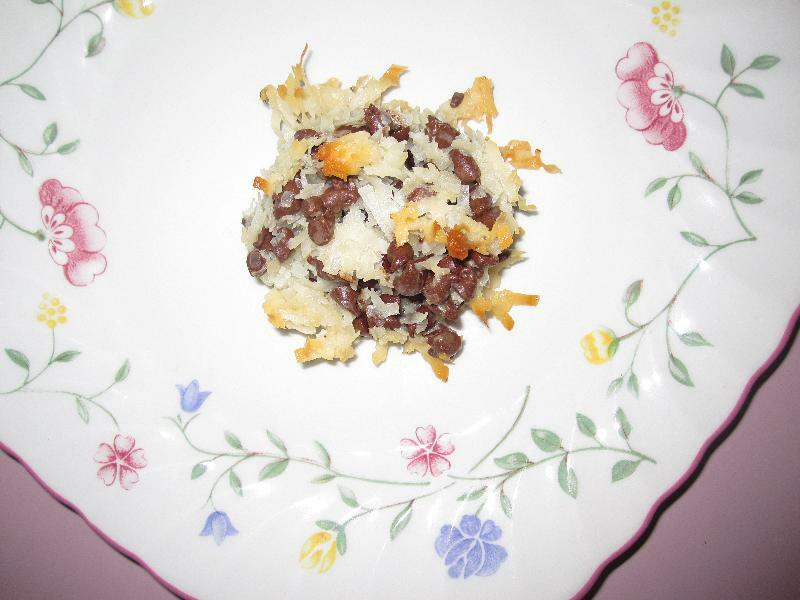 Gently fold in one 14 oz bag shredded sweetened coconut and 3/4 cup of sweetened condensed milk. Stir in 1 1/2 cups of chocolate chips. Scoop 2-inch balls and place about one inch apart onto parchment lined baking sheets. anonymous : these are sooooo delicious and sooooo easy to make, one tip~ make a double batch they go fast!